Budgeting is a great way to truly gain an understanding of your spending habits. Budgeting allowed me to see exactly how my earnings were being spent, and allowed me to differentiate between my needs and my wants. I became a less impulsive shopper, and I never found myself in a situation where I overspent. Budgeting is extremely easy, and for me all it took was a pen, a $2 notebook, and a monthly review of receipts. If you prefer to be more tech savvy, you can use your computer or smartphone. Find what best works for you. Budgeting is a great way to understand your spending habits and make the necessary changes. Saving is one of the best habits you can develop in college, and like budgeting, the benefits will last a lifetime. Saving ensures that you are always prepared in the event your source of funding dries up, and the earlier you start saving, the more you will accumulate in the long run. There really isn't any rule that dictates the minimum amount one should save. There have been months where I have saved as little as $50. If you work, set aside a portion of your paycheck. If you don't work, consider putting aside portions of money you receive as gifts or grants. I would advise opening a savings account to make tracking your savings easier. Many banks actually offer free savings account to college students. I'll never forget my first credit card offer... when I first applied, got approved, when I activated it, and, then went straight to the mall. While it was fun at the time, I now know that I have to manage my credit cards if I hope to be financially secure. 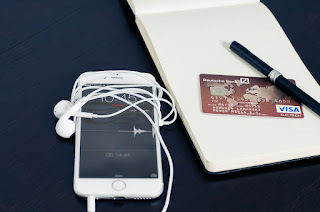 Managing credit cards include not only using it when you need to (and no, flash sales do not count), but also always paying on time, and being aware of your outstanding balance. College Ave Student Loans is revolutionizing the industry by making it faster and easier to apply for and manage your loans. Like credit cards, student loans are often on the receiving end of bad publicity. The truth is student loans are a valuable option for covering college costs, and you can actually maximize the benefits with the right resources. One of the best resources I have discovered is College Ave Student Loans. They take the headache out of managing student loans by making it easier to apply, and providing the one on one support so many of us often need. They provide a mobile friendly application, that like the website, is straightforward and very easy to use. Best of all you can expect a credit decision in less than 3 minutes. How's that for fast! Between work and school, free time tends to be really scarce. The mobile friendly application means I can apply for a student loan even when I'm on the go. 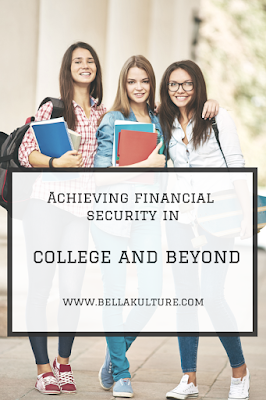 What I love the most about College Ave Student Loans, are the tools that make good financial management, and achieving financial security easy. The Student Loan Calculator and Credit Pre-Qualification Tool lets you to know before applying, what your rates and costs will be, which makes budgeting your expenses easier. Also perks like lower interest rates for making payments while in school, means you can pay down your loans and still have money left over for savings. As if all this wasn't amazing enough, College Ave has partnered with Chegg for the #Collegegoals Instagram contest. Between now and June 30th, you can win a $5000 scholarship and $50 worth of Chegg textbook credits. That's $5050 worth of college expenses you won't have to worry about, so visit Chegg's blog for more details on how to enter. Are there any other tips you can share for staying financially stable in college? Tell me in the comments section below, I would love to hear. Thank you to College Ave Student Loans and Her Campus Media for partnering on this post. All opinions are my own.